You may order from the Custom Blended Brix Liquids group a liquid to match Brix from 1 to 85 Brix (percent Sucrose @ 20°C) You provide the Brix value needed and our technical department will provide the corresponding refractive index for that Brix value. 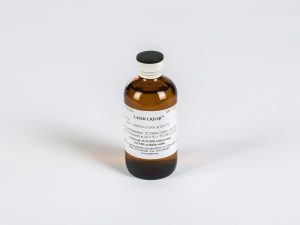 All custom made brix liquids are provided with Letters of Certification and are bottled as 4 x 1 fl.oz. All Custom Brix Liquids are blended to a refractive index tolerance of ±0.0002 and read to a refractive index tolerance of ±0.0001 at 20°C. Brix tolerances vary nominally from ±0.070 to ±0.038 depending on the Brix number chosen; ±0.070 at >1 degrees Brix, tightening to ±0.038 at 85.0 degrees Brix. Please contact us if you have any questions. Qty: 4 x 1 fl. oz. You will need a printout for each of the refractive index liquids you are ordering; the information is different for each refractive index. Letters of certification are optional. 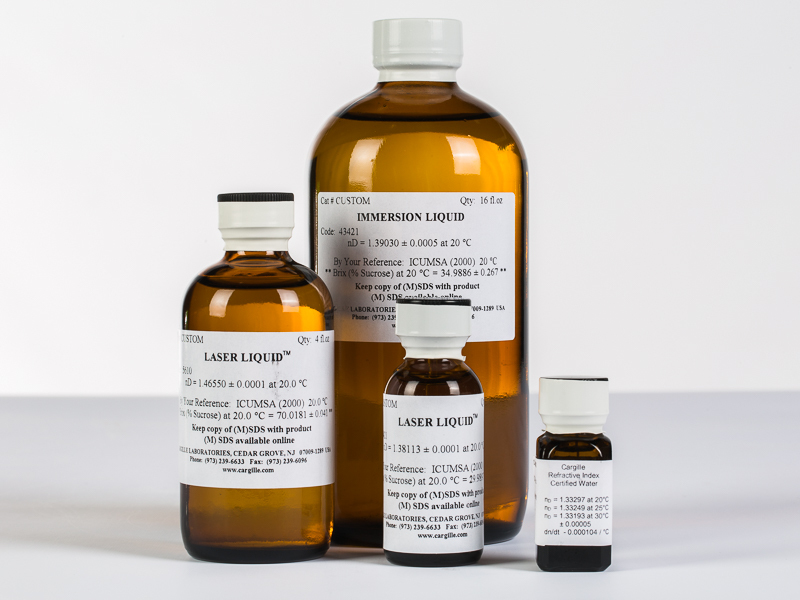 We will list multiple items ordered on one Letter of Certification providing the liquids are all from the same category, for example: all Refractive Index Liquids, or all Master Calibration Liquids, or all Laser Liquids. If you order more than one category of liquids, then you will need to order a different Letter of Certification for each category of liquid.